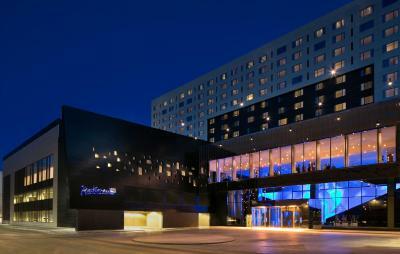 Lock in a great price for Radisson Blu Mall of America – rated 8.8 by recent guests! 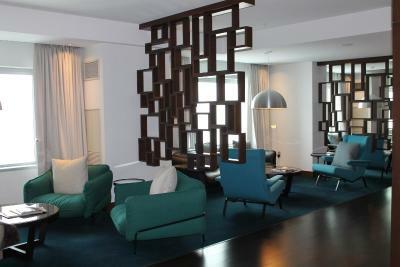 The hotel's atmosphere was very welcoming and our room was very spacious. 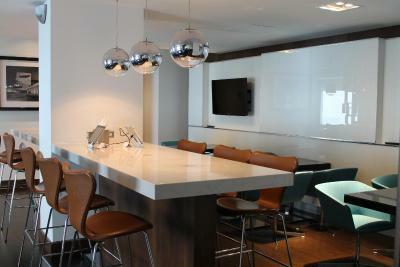 Great location if you want to do some shopping and very close to MSP airport. 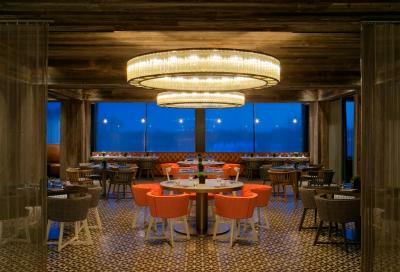 Modern, nice restaurant. We like it a lot! The rooms were great. We like it because it's connected to the mall. The bed was awesome; sheets were so cool and comfortable. Staff couldn’t have been nicer from the shuttle bus driver to the housecleaning staff. Perfect location. 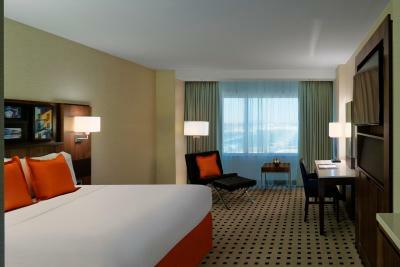 The MOA is more than a mall and the hotel is more than just a place to sleep. 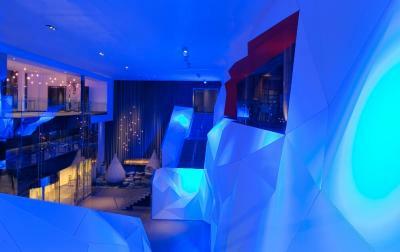 We love the restaurant inside the radisson blu. It is wonderful. Great getting all rooms on one floor. Easy check in. Got upgraded appreciated the complimetry cocktails(that we were to late to enjoy) and breakfast that was very good and had wonderful choices. Everybody got filled up. 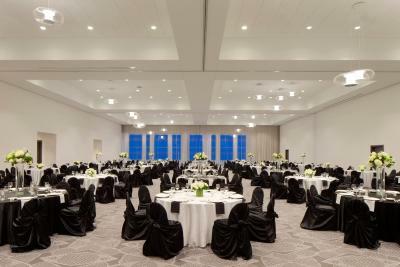 Radisson Blu Mall of America This rating is a reflection of how the property compares to the industry standard when it comes to price, facilities and services available. It's based on a self-evaluation by the property. Use this rating to help choose your stay! 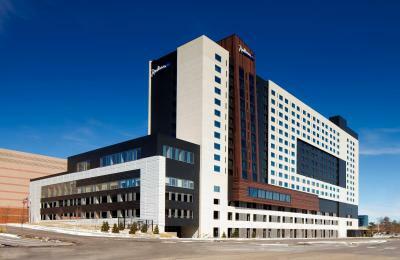 Featuring an indoor pool and a restaurant and bar, this Bloomington, Minnesota hotel is adjacent to the famous Mall of America. 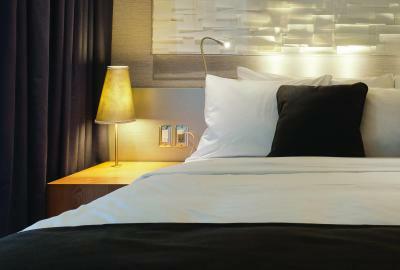 Free Wi-Fi is available in every guest room. 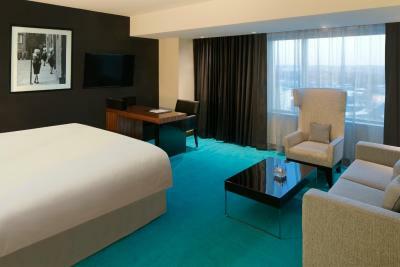 A flat-screen satellite cable TV is provided in every room at Radisson Blu Mall of America. 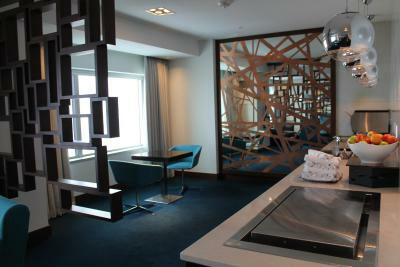 Guests can make use of the fridge, coffeemaker, and hairdryer during their stay. 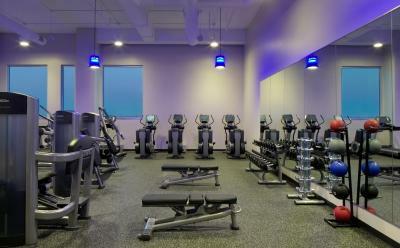 A 24-hour fitness center is offered at Mall of America Radisson Blue. 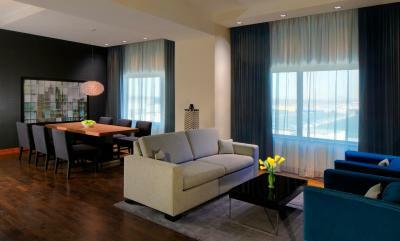 For convenience, a concierge desk is available in the lobby. 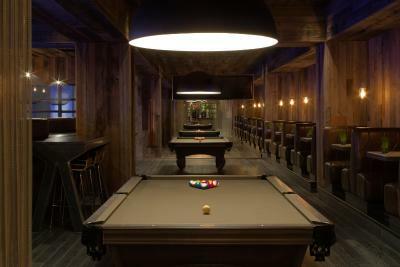 The FireLake Grill House & Cocktail Bar serves American cuisine for breakfast, lunch, and dinner. 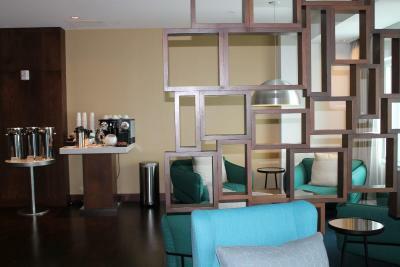 A complimentary Grab and Run breakfast with coffee, fruit, and breakfast bars is also offered. 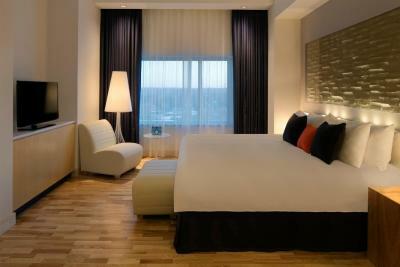 A free transfer service to Minneapolis–Saint Paul International Airport, 5 miles away, is provided at this hotel. Hyland Ski Snowboard Area can be reached in 11 minutes’ drive. 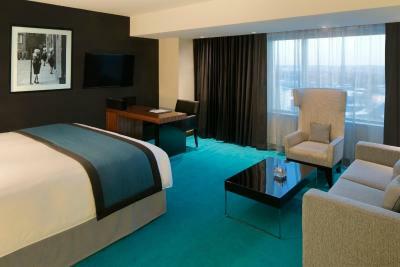 When would you like to stay at Radisson Blu Mall of America? 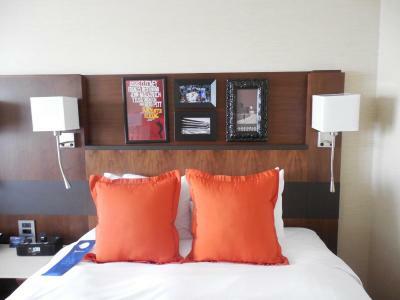 This double room features a bathrobe, satellite TV and air conditioning. 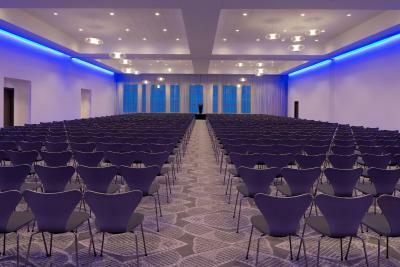 Includes access to the Business Lounge which provides complimentary breakfast, evening reception, magazines, and newspapers. This family room features a satellite TV, air conditioning and bathrobe. 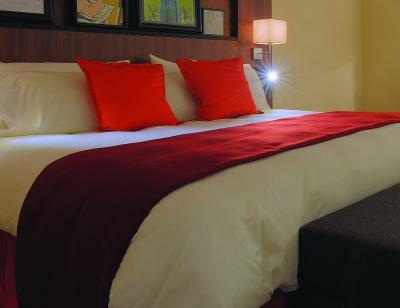 This double room has a executive lounge access, flat-screen TV and air conditioning. 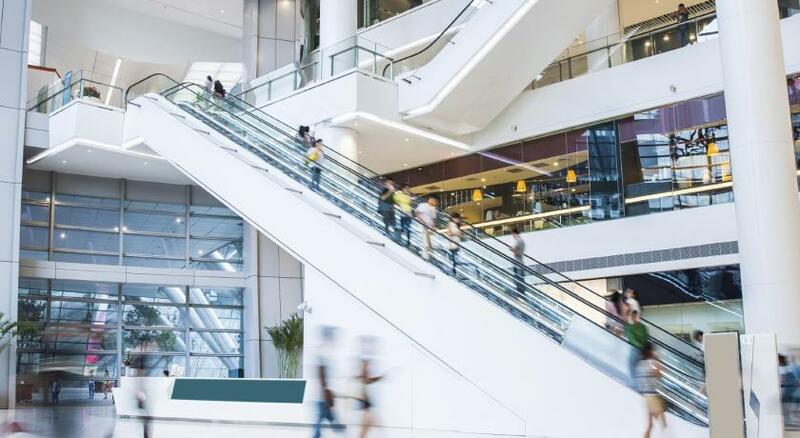 Newly-built Radisson Blu Mall of America hotel conveniently connected via skyway to Mall of America, making excellent dining, entertainment and shopping options right at your fingertips! Experience our Yes, I Can! Service from the moment you arrive until you depart. 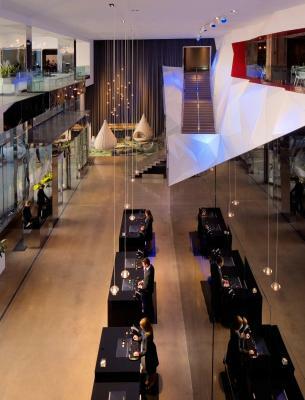 Valet and self-service parking greet your arrival. 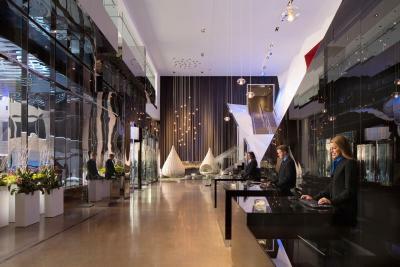 Enjoy your sense of arrival with our grand entry to our unique lobby. 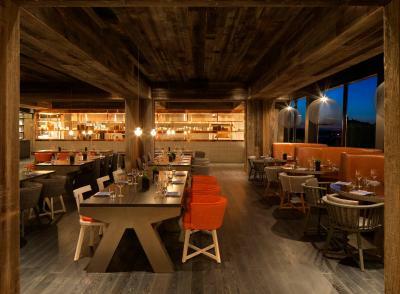 Experience delicious local Farm to Table created dishes in our signature Firelake Grill House & Cocktail Bar. 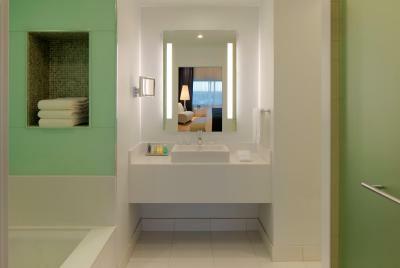 Complimentary Wi-Fi throughout. 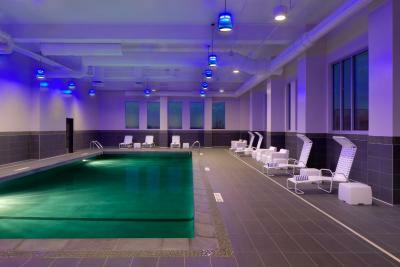 Relax in our indoor swimming pool, fitness room and onsite spa and unwind in our Firelake Lounge. 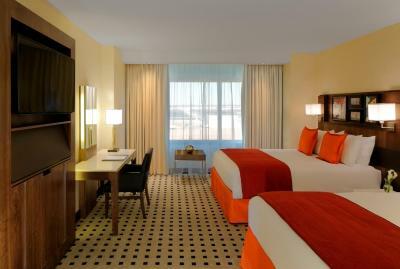 In keeping with our Responsible Business model, we proactively recycle in our guestrooms, kitchen and meeting room areas. 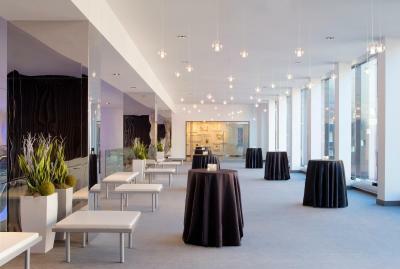 Our meeting and event areas accommodate groups from 10 to 1,400 and offer natural lighting in many. 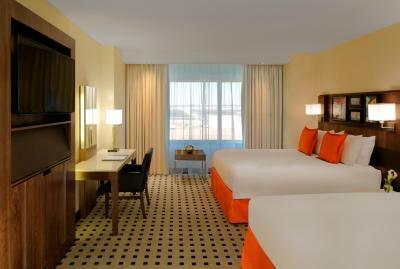 Guestrooms offer complimentary in-room refrigerators, coffee makers and HD television. 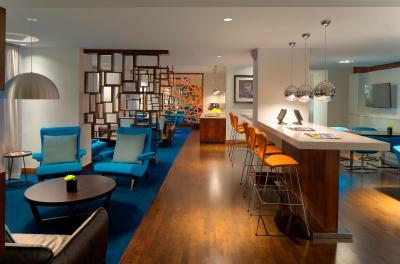 House Rules Radisson Blu Mall of America takes special requests – add in the next step! 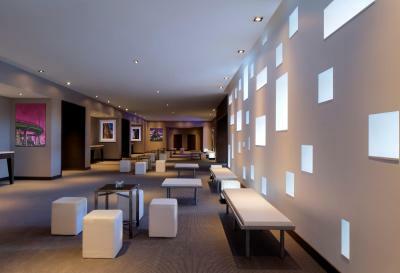 Radisson Blu Mall of America accepts these cards and reserves the right to temporarily hold an amount prior to arrival. 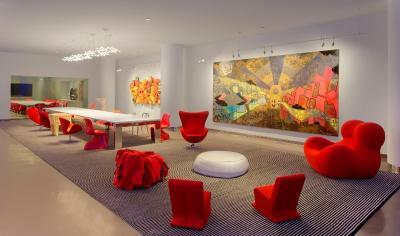 Valet parking is available at the property for USD 25 per night. Please note that use of the shuttle service is based upon availability. Please note guests must be 21 years of age or older to check in. Bad service, pool was crowded and highly chlorinated. Booking.com booked the room for 193.98 then i was charged almost 250 at the hotel. The use of two different elevators between the lobby and hotel room and also parking ramp is awkward. And also for being a high end hotel.. honestly the toilet paper was lower than low quality... it’s like ok I get cheap but dang there is still angle soft lol. 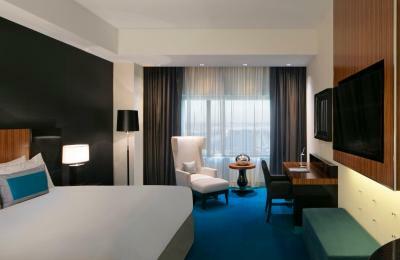 The Radisson Blu had an immaculately clean facility and room I stayed in. The bed was very comfortable and provided a great nights sleep. Every member of the staff went above and beyond to exceed our expectations. We had spent the night prior to our stay at the airport waiting for our flight to leave which never did and after 36 hours straight of either being on a plane or in an airport we checked in to the Radisson. The minute I called for a shuttle service to come get us I knew we were going somewhere special. The employee who answered the phone immediately went above and beyond to ensure we were well taken care of during our stay. The shuttle service gentleman was so helpful and on our departure from the hotel he even walked us to where we needed to go to get a rental car to drive home instead of fly at the airport. 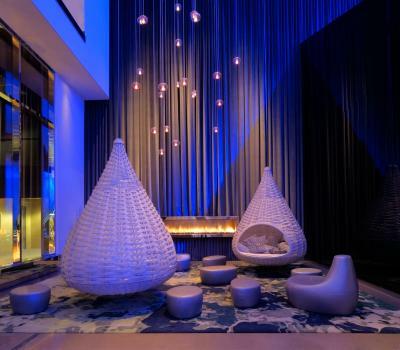 The Radisson Blu definitely took customer service to a whole new level in my opinion and I will gladly stay there again and encourage others to do so as well! I cannot thank them enough! The elevators were hard to understand. Our checking in lady didn't explain it to us. We didn’t eat breakfast there. The options and value at the Lake Fire restaurant for desert was disappointing. The Bad 1.) The cheap room after taxes is well over $200 - and there was no microwave! 2.) The beds are not comfortable and the bedding was light and cheap. 3.) The room was not sound proof, not even a little. All night I could hear other people going in and out of their rooms. The doors shut hard and the sound/vibration ricochets down the hall and into the room. When people are outside talking you can hear them quite well. Only solace, is to turn the (nice flat screen) tv on to drown out the noise. At 8 am, I could hear the worker outside going to every door, saying “Housekeeping?”. Obviously they are starting their rounds cleaning, but when you stay at the motel for the purpose of shopping and the stores don’t open until at least 9 or 10, trying to get a few extra winks is aggravating. 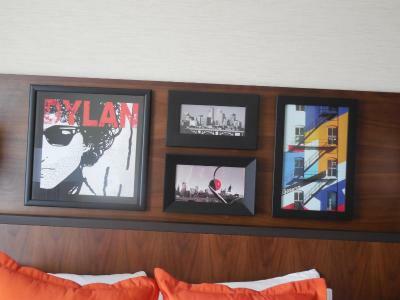 Basically, if you want to sleep-in (at the Radisson Mall of America) forget about it...it isn’t going to happen unless you are one of those people who could sleep with a freight train running through the house. 4.) Small complaint - there were no trash bags in any of the trash cans, that just seemed weird. Feels strange putting trash in a can with no bag, especially if your trash is hygienically nasty. 5.) The parking! So after you pay over $200 for a room, you have to pay for your parking! Keep in mind, to park at the Mall of America all day is free, so if you stay at the Radisson and park in their little parking garage, they will charge you. Absolutely ridiculous. 6.) Small complaint, was not told that you need to use your room key card to get out of the elevator. We get in the elevator, (it’s dark inside / meant to be cozy) and push the floor # (floor 10) and the elevator takes us to floor 13...and just sits there! The doors will not open and there is no indication on what to do. You look at your card key that gave you to see if there is some kind of instructions but you can’t see it because it’s too dark inside to read it. Parking with a small trailer. One night there were some noisy kids but it was not long.